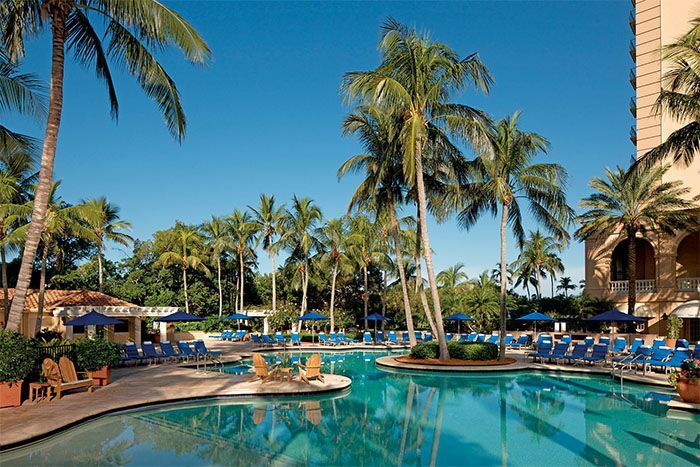 Create cherished family memories at this luxury Naples beachfront resort. Adventures abound for young guests with the Ritz Kids® program, in-room glamping with pop-up tents and glow in the dark camping gear. Nature’s Wonders, an environmentally focused kids’ program, features 11 aquariums showcasing Florida’s delicate ecosystems. An on-site luxury wellness experience combines spa treatments and therapies. Golf enthusiasts will enjoy access to two 18-hole championship Greg Norman courses at the Tiburón Golf Club. Celebrate dazzling sunsets, relax poolside or stroll to the beach for sand and water activities. Luxurious rooms and suites, most with balconies, afford magnificent views of the Gulf. Club Level accommodations extend a finer touch with Club Lounge and Beach Club services. Bonus: King. Exclusive $50 Off per booking. Stays of 5 nights or longer receive $100 Off per booking. Lava, spewing from a live volcano–no, you won’t see this in Naples, Italy, and you’re lucky, because the last folks in these parts who witnessed such an event were the natives of Pompeii, who were buried under 30 feet of ash and pumice stone in AD 79. You can, however, visit the beautifully preserved remains of this unfortunate city on a short tour from Naples. There’s much more to Naples, of course. This picturesque city is one of the great cultural centers, full of extraordinary works of art and architecture in the classical Greek and Roman styles. Naples, on its justly famous blue bay, is the great city of the south. Located on the southwest coast of Italy, south of Rome. The Amalfi Drive to the south arguably is the world’s most scenic motor route. Naples enjoys a very dry and warm climate year around.